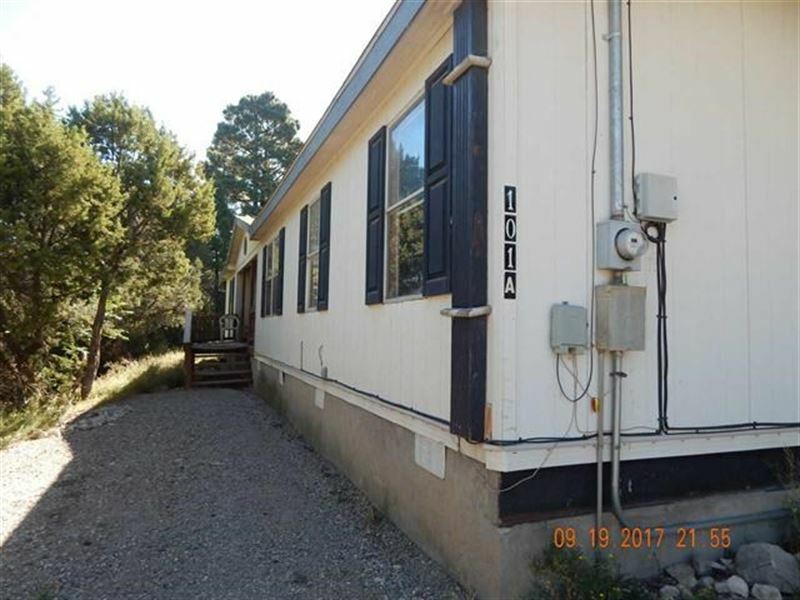 This 5 acre tract of land on G and C Lane on Ruidoso Downs features 4 mobile homes that are currently rented, and two vacant lots. Monthly income provided os The homes are not available individually. 2000 Patriot has 4 bedrooms, office and 2 bathrooms. 1998 Masterpiece has 3 bedrooms and 2 bathrooms. 1999 Cavco has 4 bedrooms, 2 bathrooms and the 1995 Fleetwood has 3 bedrooms, 2 bathrooms.